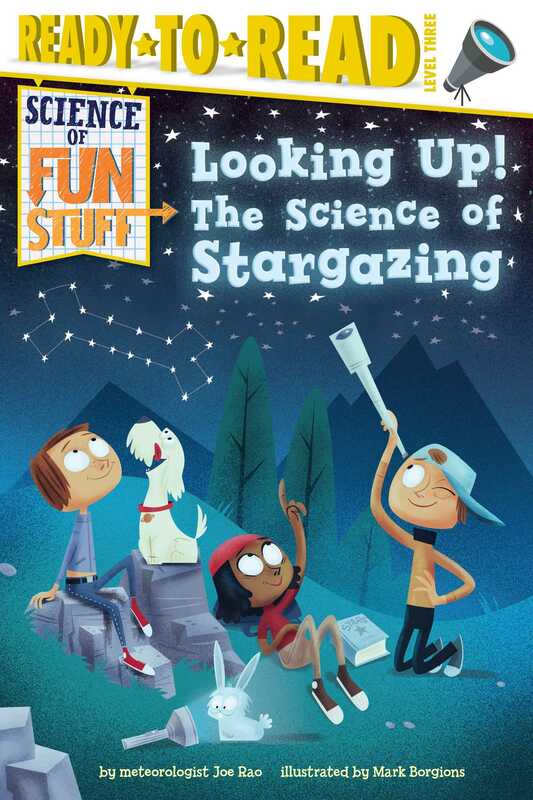 Become an expert on the stars in the sky with this fact-tastic nonfiction Level 3 Ready-to-Read, part of a series about the science of fun stuff! Did you know that comets are sometimes called “hairy stars?” Or that if you saw a sunset on the moon, the sun would look white because the moon doesn’t have an atmosphere? You’ll learn this and much more as you become an expert on the objects in the sky. Plus, this book contains a special section in the back all about the August 2017 total eclipse of the sun that will be visible throughout most of the United States. Amaze your friends with all you’ve learned in this engaging, fact-filled Level 3 Ready-to-Read! There’s even a fun quiz so readers can test themselves to see what they’ve learned! Learning science has never been so much fun! Joe Rao serves as an instructor and guest lecturer at New York’s Hayden Planetarium. He writes about astronomy for Natural History magazine, the Farmer’s Almanac, Space.com, as well as many other publications. He is also an on-camera meteorologist for News 12 Westchester, New York. In 2015 he was voted “Best Local Television Personality” by the readers of Westchester Magazine. Joe was also nominated for an Emmy in 2004, 2006, 2010, 2014, and 2016 for On-Camera Achievement. Joe, his wife Renate, and their two children Joseph and Maria, reside in Putnam County, New York. Book Cover Image (jpg): Looking Up!